The verse was a personal favorite that year, and it proved that Minaj hadn’t only arrived—she’d shown up with a vision that was fully formed, all in 20-or-so seconds. Alter-egos, other-worldly voices, Barbies and all. She’d been releasing mixtapes for years, but her first huge spotlight on “Monster” wasn’t just impressive—she’d somehow managed to outshine Jay Z and Kanye West (and Bon Iver, for what that’s worth) in the same track. After a judging gig on American Idol, a YouTube-breaking be-all-end-all booty showcase and three full-lengths (Pink Friday, Pink Friday: Roman Reloaded and her latest, The Pinkprint) Minaj is making a case that she’s a queen of short form. Sadly, the LPs that follow her singles feel a lot like supplemental afterthoughts. It’s a weird spot to be in. I’m confident enough in saying I’m a fan of Minaj—this particular fan just hasn’t liked a full-length all the way through. After her scattered (and great) guest spots leading up to the first Pink Friday, the end product was an inconsistent and ultimately disappointing effort. There were great moments. “Roman’s Revenge” was a blast—the ultimate example of the multi-character punch she delivers so well. There are some great straight pop songs, too. No surprise here that “Moment 4 Life” and “Super Bass” went on to build up a huge audience, but these moments were too few. Arriving there felt like a labor in the LP format. 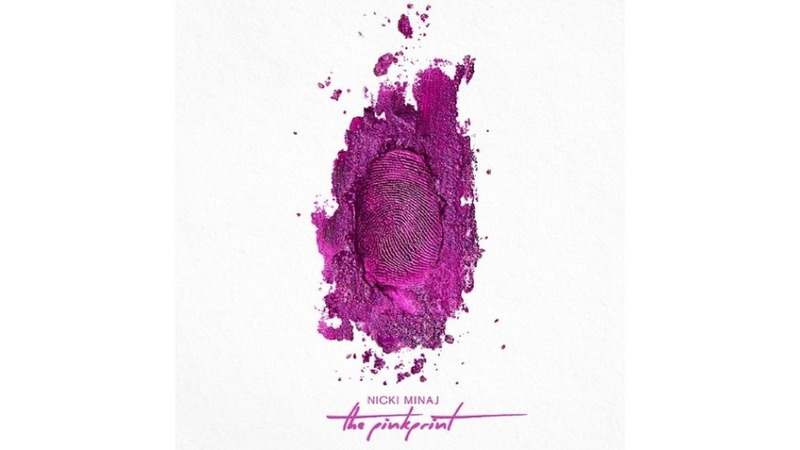 And here we are again on The Pinkprint, Minaj’s 2014 LP that was famously promoted with the Internet-breaker that was “Anaconda.” Minaj teased that it’d be a return to her hip-hop origins, which is true after comparing it to her sophomore LP, and the title’s a nod to one of the modern greats, Jay Z, and his album The Blueprint. It’s a reference that Minaj told Complex was more of a tribute to Jay Z, the artist (not The Blueprint, the album): “I do think that it’s going to create new rules, though, in [the way] that The Blueprint did.” It’s hard to tell what they are. The album’s production is scattered, and aside from some thematic strings—heartbreak, personal loss, brain—there’s not much tying The Pinkprint together. There are great moments here: Minaj’s deeply personal lyrics on “All Things Go” that go from love, to the loss of a family member, to raising a family of Nicki’s own. I love everything about “The Crying Game,” from the retro production down to its rapid-fire verses. Beyonce guests on “Feeling Myself,” which features some of the silly humor fans have come to quench from Minaj. “Anaconda” is “Anaconda”—a Sir Mix-a-Lot sampling reference point that will forever take one generation back to 2014, another to 1986. “Bed of Lies” will enjoy radio success for a long time. The Pinkprint has moments. Some are great, but most are not. And until the next LP, I can keep enjoying Minaj in the way I know best—the singles.